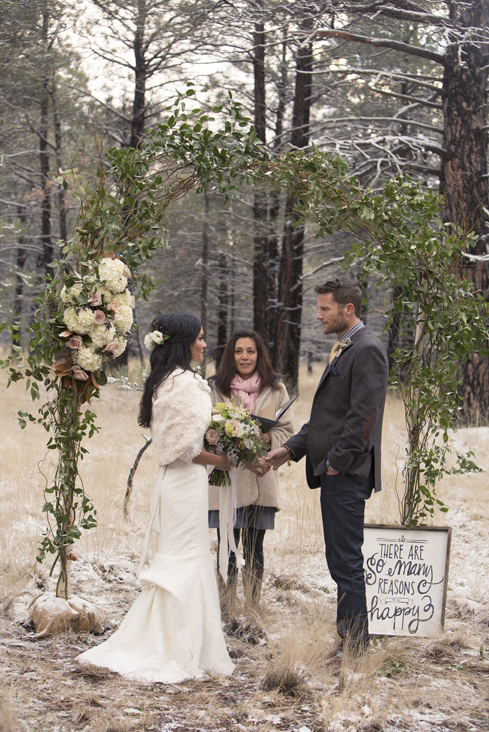 Vanessa and Matt both love the outdoors and wanted to join their families together in an intimate winter wedding in the pines of Northern Arizona. Due to their busy lifestyles (Vanessa owns Bliss Boutique Photography and Matt is part of the KNIX morning show, Ben and Matt In the Morning) they needed a little help planning and styling their winter affair. Snow was a must and luckily we delivered. The ceremony and reception consisted only of immediate family, Matt's two daughters, Emma and Lily, Vanessa's son Dylan and daughter, Lexi and of course Penny the dog! They are a beautiful family and I was honored they chose me to help make their day special. 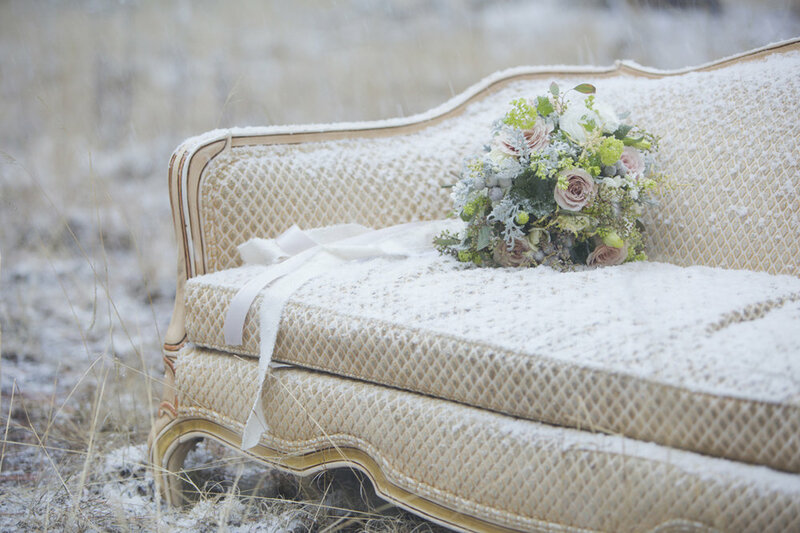 Vanessa really wanted a romantic wedding in the woods with snow. Celebrations Event Floral brought in vintage sofas for guests to sit on and created an amazing branch and floral arch for them to get married under. They danced in the snow with their loved ones surrounding them immediately after the ceremony. Vanessa has great style and brought cute decorations from her home like the vintage fireplace mantle that we leaned against a tree, a skull and mirrors we used to stage the space. 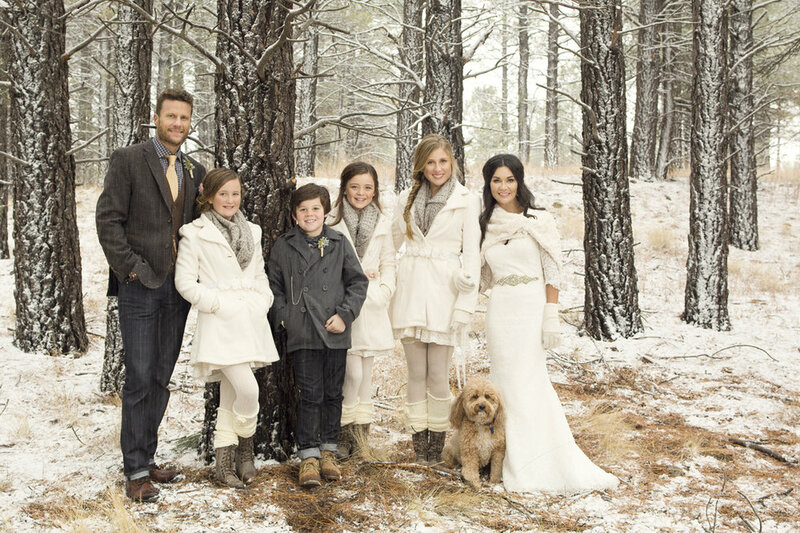 She wanted a rustic, urban edge to her day so Matt wore jeans and a tweed vest and coat while the girls were all in cream knit dresses and tights. 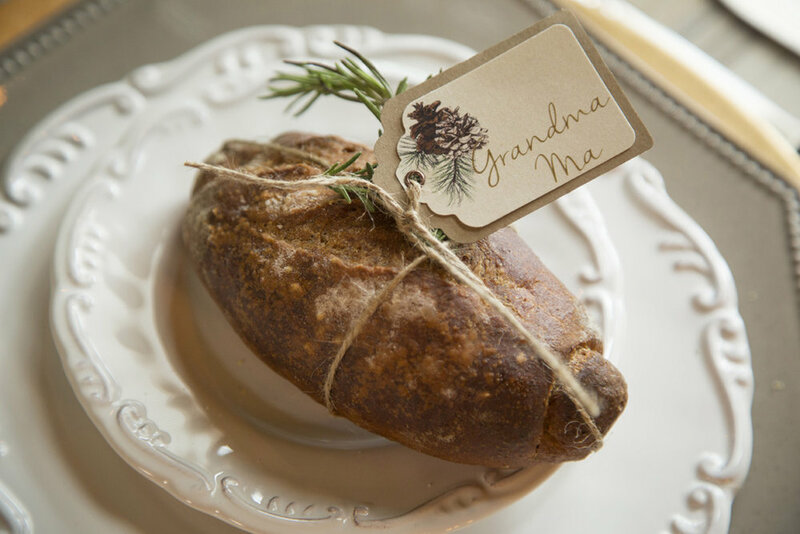 A long whitewashed farm table was lined with gorgeous floral arrangements, candlesticks, pinecones and mini baguette place cards. Robin Cadigan Ceramics made custom toasting glasses for each guest. It was a magical day! 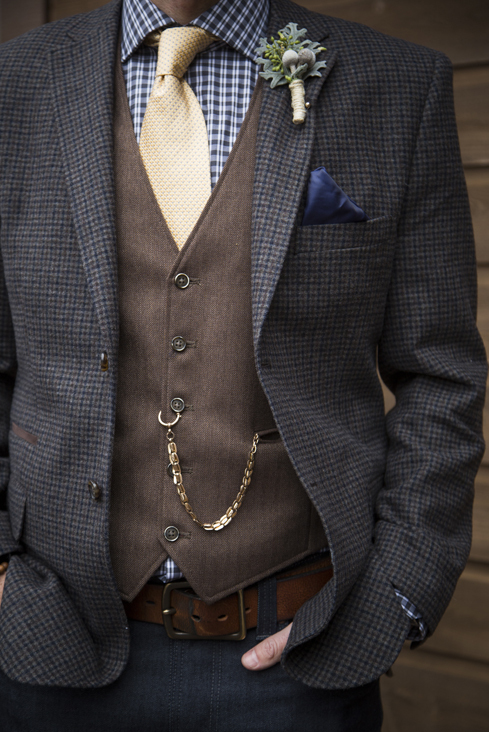 Thank you Wes from Bending the Light Photography for capturing all of the details.